The holidays are winding down but, you are never done shopping for coffee! Especially those who received a Keurig for Christmas and now need a source for deals! 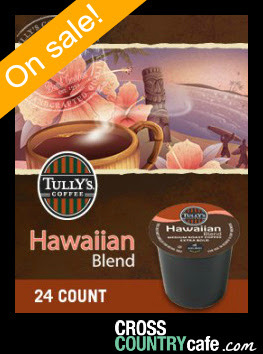 Tully’s Hawaiian Blend Keurig K-cup coffee is on sale for $11.99 per box of 24! Let your imagination take you to a tropical island paradise with Tully’s Hawaiian Blend Extra Bold K Cups. Containing 20% more coffee than regular K Cup portion packs, Tully’s Hawaiian Blend is a medium roast coffee made from 10% Hawaiian and other fine Arabica beans using Tully’s signature slow roasting process to bring out the full flavor. It makes a cup of well balanced coffee with a floral aroma, a mild sweetness and a smooth elegant taste. 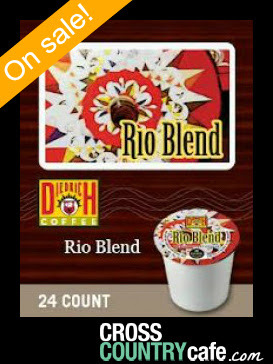 Diedrich Rio Blend Keurig K-cup tea is on sale for $9.99 per box of 24! Let’s not forget about our espresso lovers! 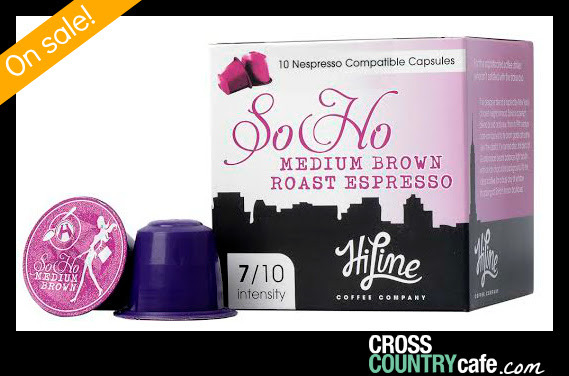 SoHo Nespresso compatible Hiline coffee capsules are on sale for $4.99 per box of 10! A medium roast complex and lively espresso with unique chocolate and blackberry undertones. Last but not least, a chance for your readers to win four full size boxes of Keurig K-cup coffee! Win four free boxes of Coconut Mocha Keurig K-cup coffee! If you like winning free Keurig K-cup coffee, you have come to the right spot- we are giving away four full size boxes of Keurig K-cup coffee each and every month! To celebrate the arrival of Coconut Mocha, we are giving away four full size boxes to one lucky winner! Giveaway runs December, 2014 through December 31, 2014. The random winner will be notified via email within 48 hours of the giveaway end date.